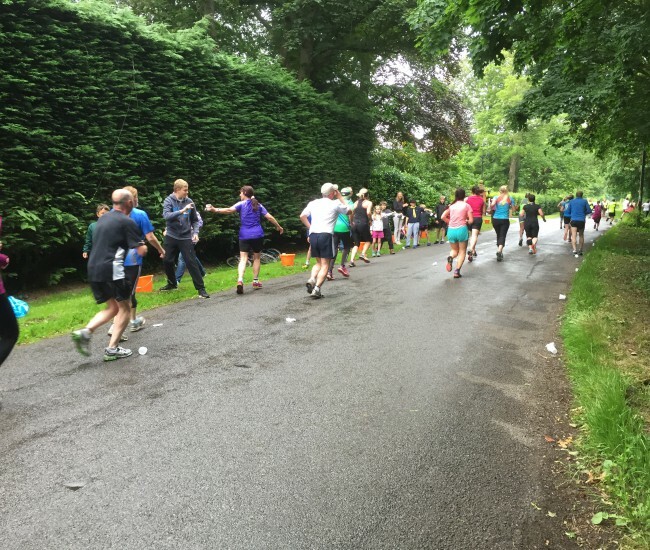 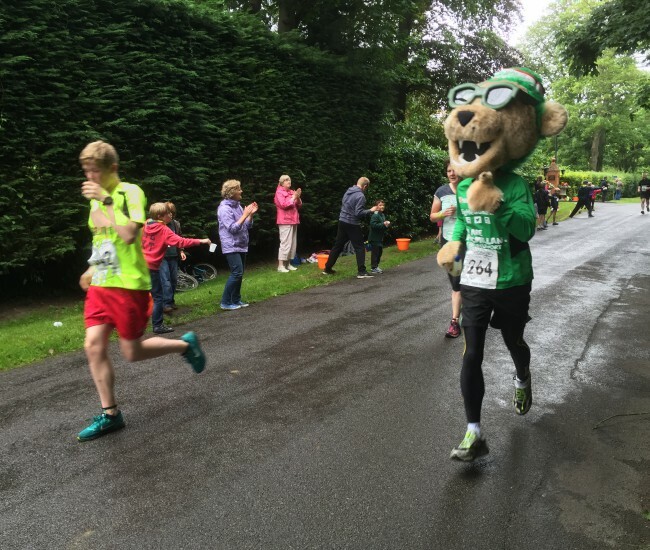 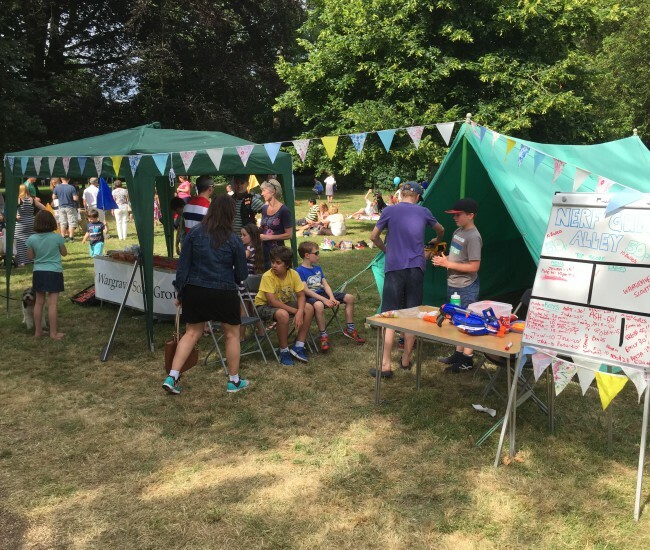 Back in June we had a fantastic Wargrave Village Festival, staffing the 10K water stations, and supporting the Parade and the Fete. 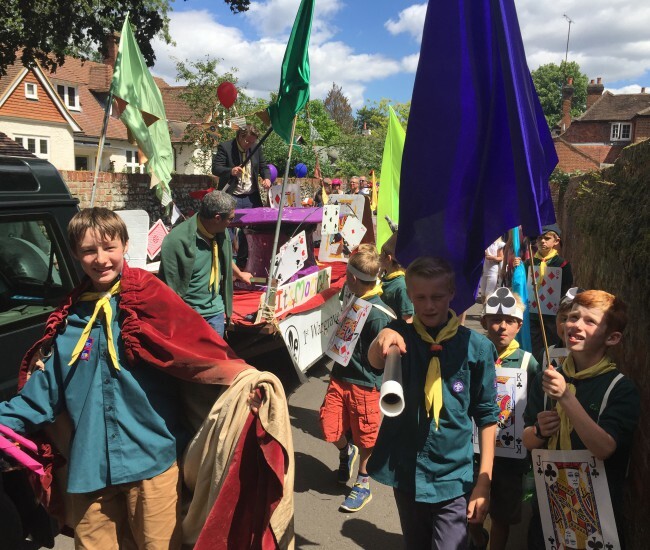 The Parade was particularly noisy and colourful this year and was very well attended by Beavers, cubs and Scouts. 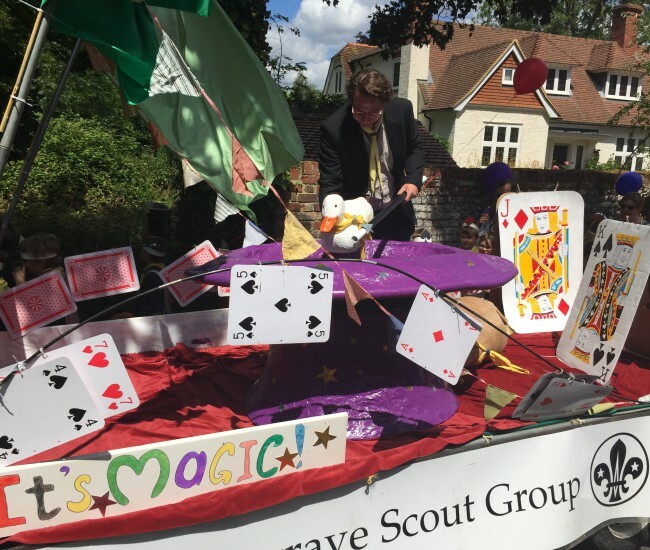 Our float was based around the “Mad Hatters of Wargrave” Festival theme. 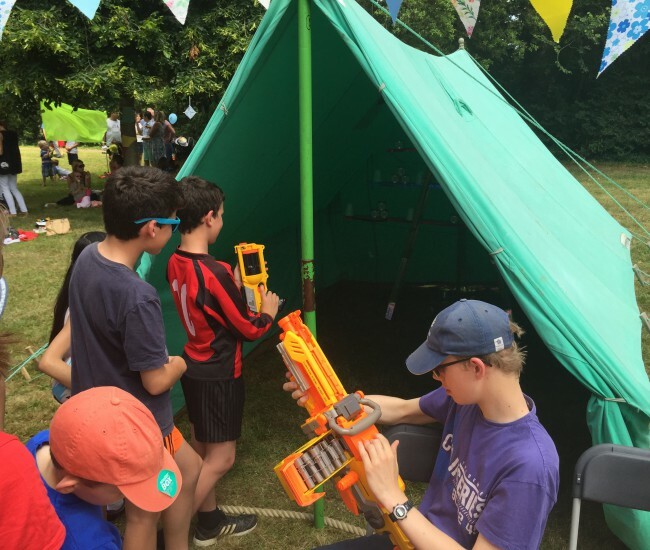 The centrepiece was a rather magnificent purple hat, superbly crafted by Pete Fry. 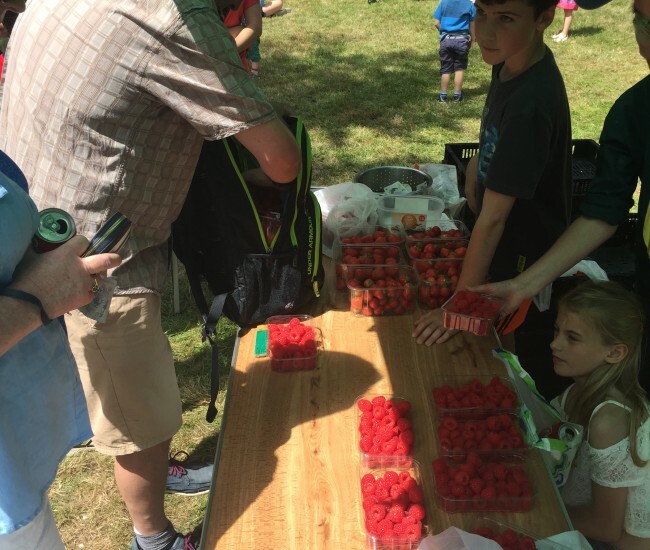 A big thank you to all the villagers who purchased the delicious fresh strawberries and raspberries kindly donated by Sheeplands Farm. 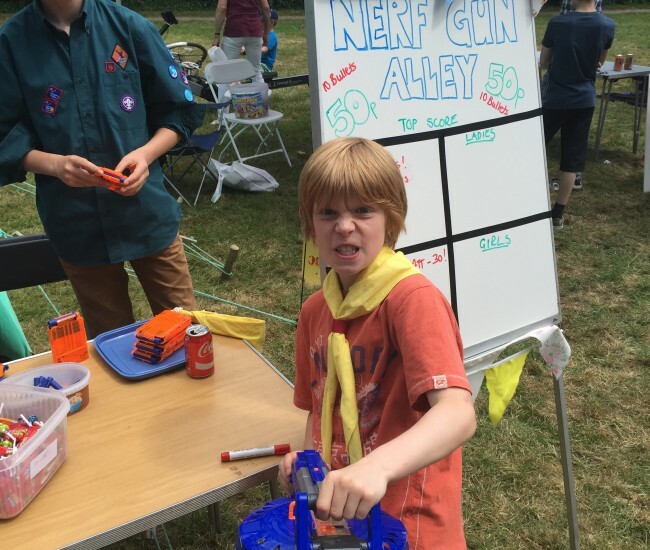 Our fruit selling and the NERF gun shooting alley activity raised just over £700 which will go towards the Finland Fund. 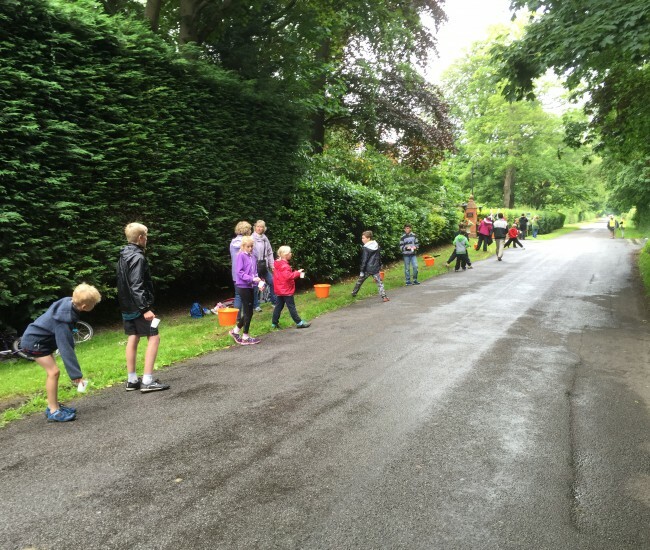 Well done to all of the Scouts, Parents and Leaders that helped on the day!! 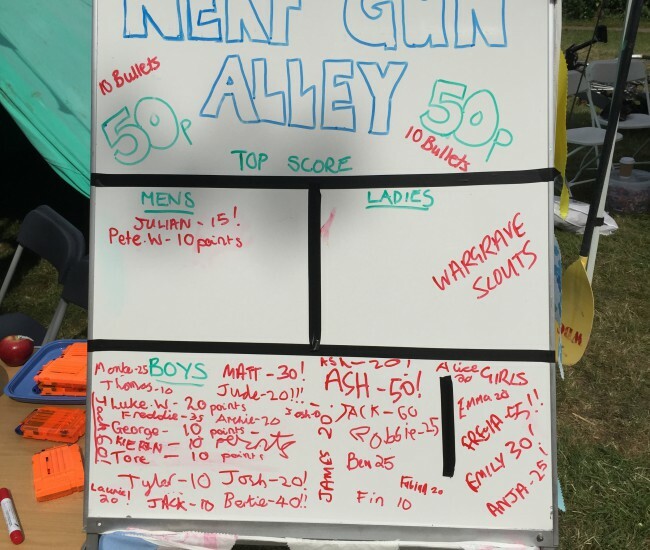 The tea and cake selling in the Marquee proved to be particularly popular, raising nearly £500 towards general troop funds. 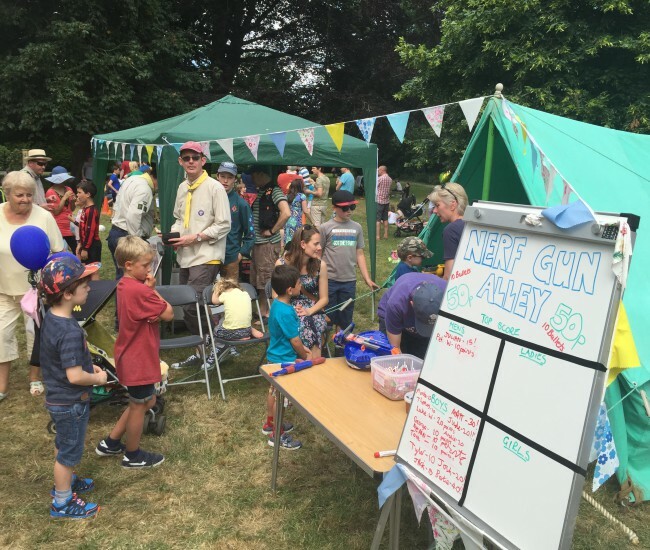 A big thanks to Helen Vonka, Chair of 1st Wargrave Exec Committee, who coordinated this activity with Parents, Beavers and Cubs helping on the day serving, waiting and tidying-up. 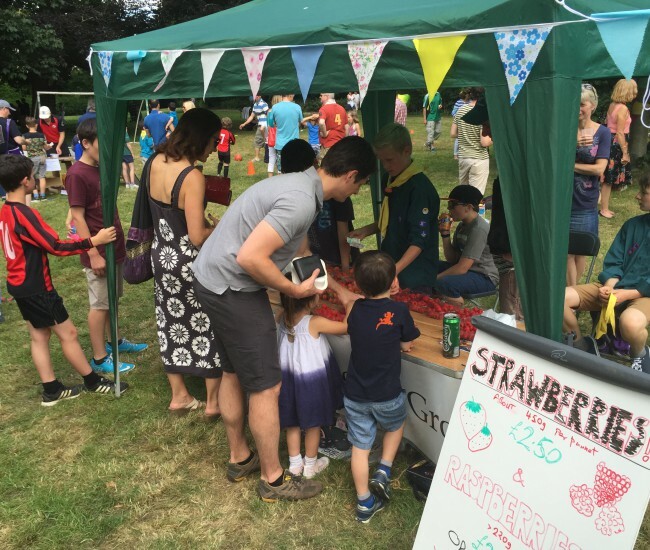 Some delicious cakes were enjoyed by all, many thanks to all of the parents who kindly baked and donated items. 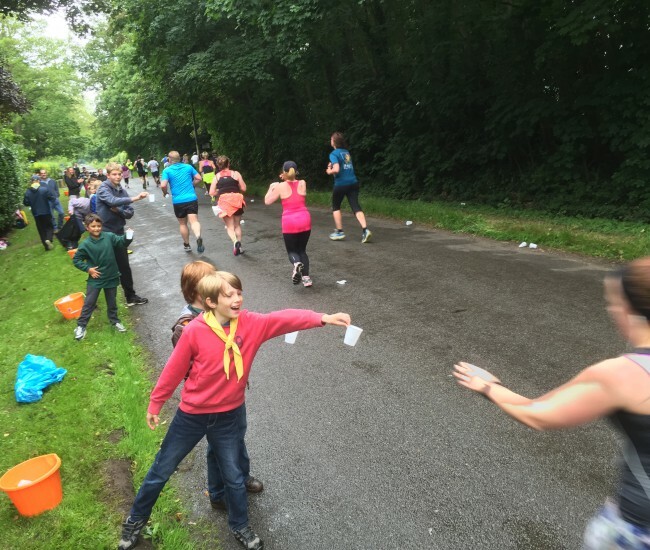 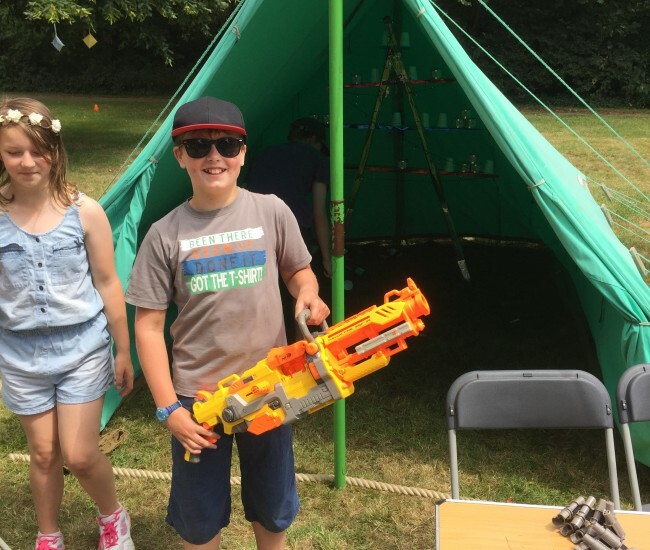 Pete Fry, our Group Scout Leader, commented “Thank you all to those of you who put so much hard work into the parade (both on the day and the preparation beforehand) and manning the tea tent (and providing fantastic cakes), the fruit stall and the NERF range. 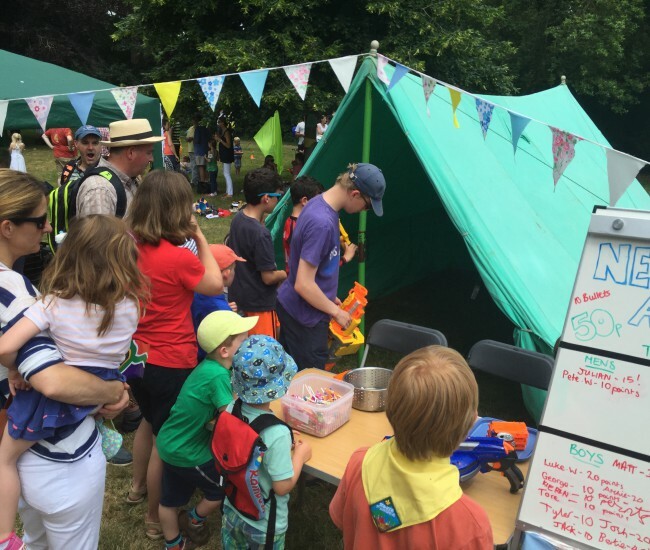 I do feel that once again the 1st Wargrave Scout Group were very firmly and actively at the heart of the community and presenting a very positive (and vocal, thanks Richard!) 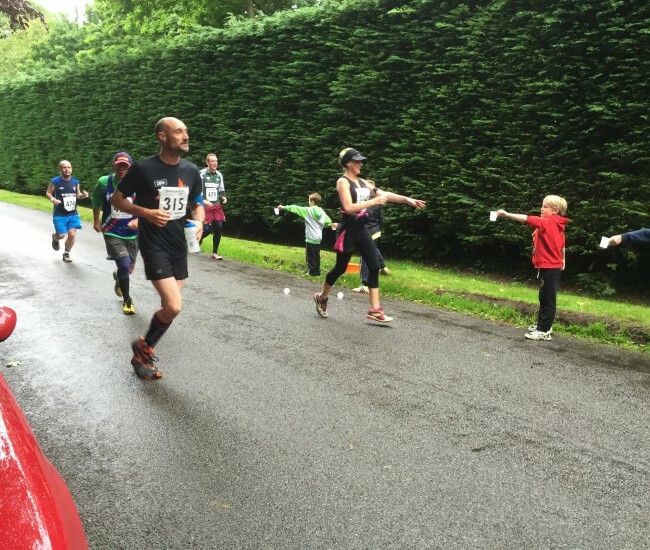 presence in the village. 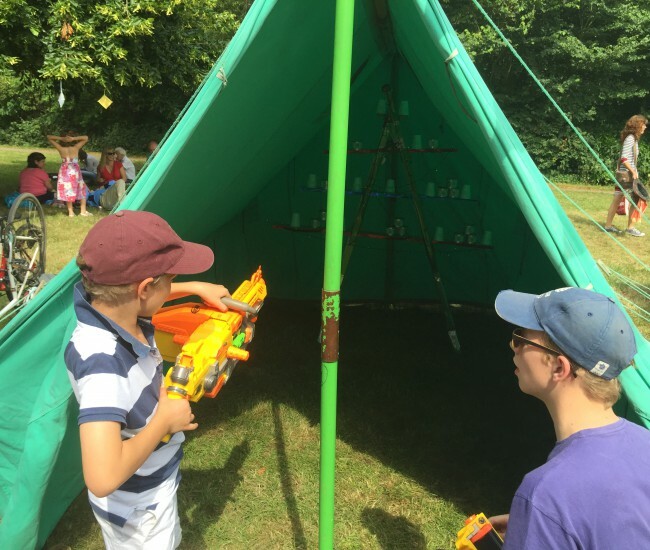 My congratulations and thanks to beavers, cubs, scouts, leaders and parents for a really great day – I think we should all be justifiably proud of ourselves’. 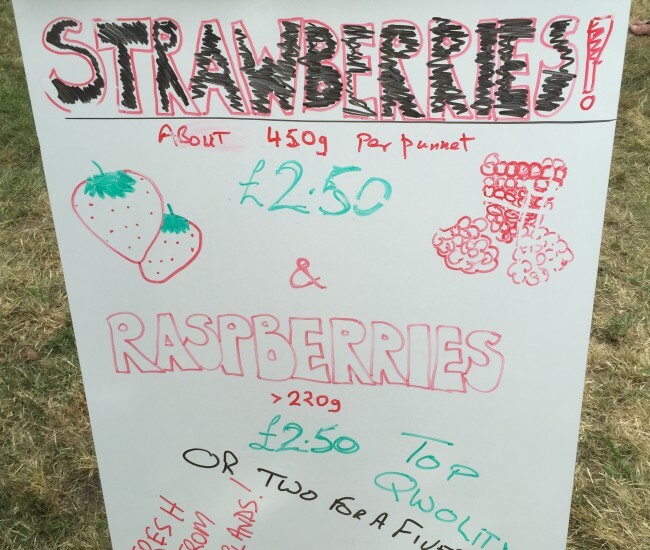 We look forward to supporting the next Wargrave Festival, in June 2017. 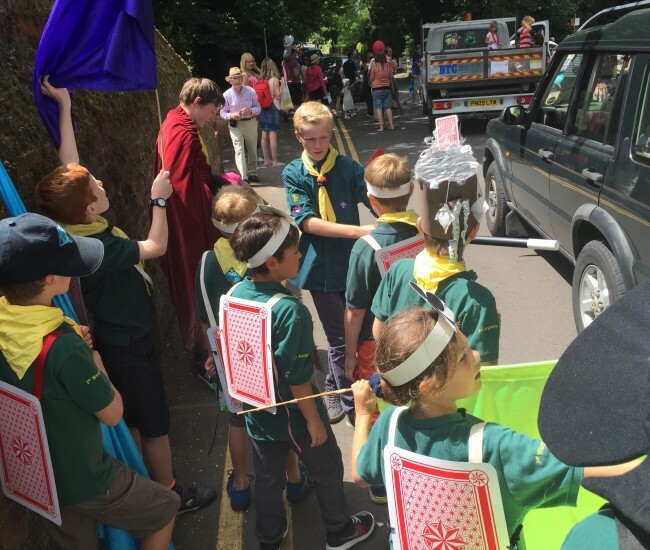 A photo gallery of this years events including the Parade and Fete can be found here. 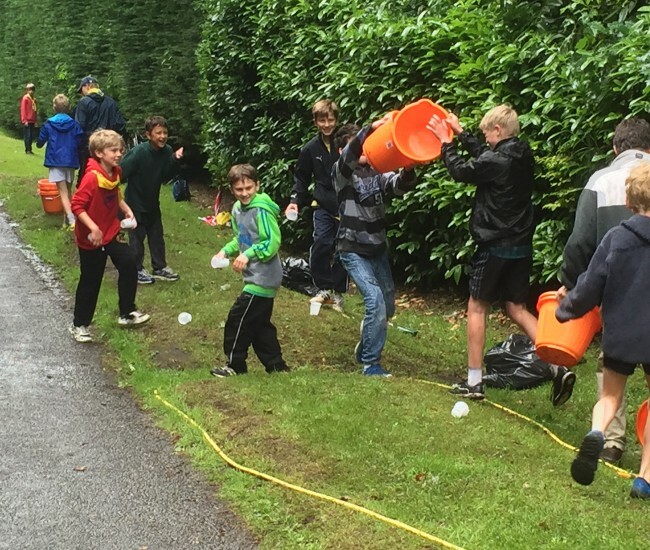 ← Wargrave Wins District Scouts Camping Challenge!